A: We opened our provisional distillery in Callander with the capacity to produce 200,000 bottles a year in 2016. 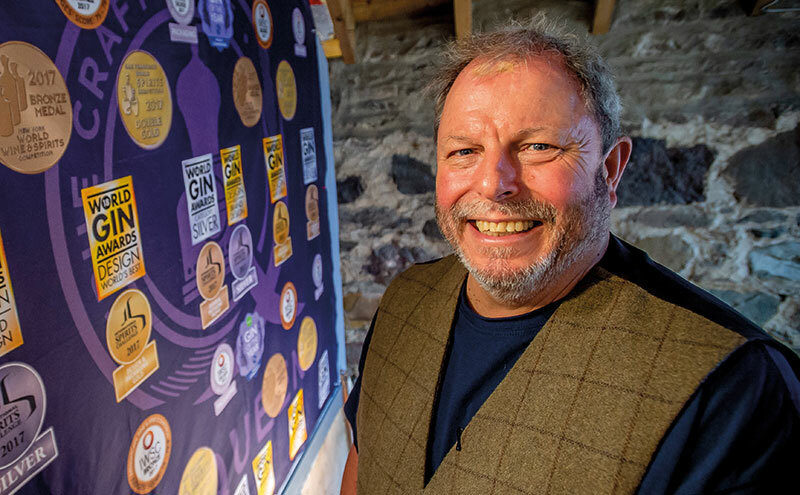 The new distillery, which is being commissioned just now, will up the capacity to one million bottles of gin with bottling, packing and shipping all done on-site. Q: How long have you worked on McQueen Gin and how did you start? A: I was offered a new job in July 2015 and after discussing it with my wife, Vicky, we decided I didn’t want the new job nor the one I was currently doing. So we thought, ‘why don’t we just open a gin distillery?’ As an engineer, I had an interest in distillation but no experience in the trade whatsoever. 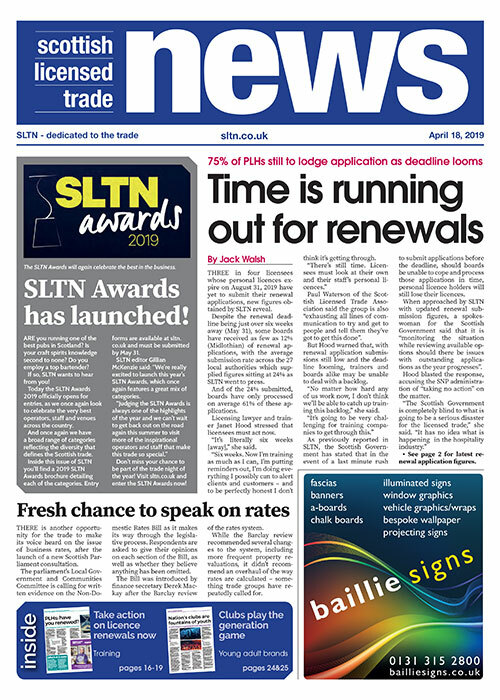 We took some advice by talking to people in the trade in Scotland and the consensus was it would take two years to put products on the shelf. We didn’t have two years and put four new products on the shelves in ten and a half months. Q: What is unique about the production of McQueen Gin? A: As we make the gin, we taste it and adjust it. It’s like a chef when he makes food. We build the end product by taste. That is the whole concept of the brand. We have two ways of adding flavour during distillation; one is in the still and the other is in a vapour infuser. As the vapour leaves the still it passes through a chamber which allows us to flavour the vapour as it comes through. We can regulate the proportion of vapour that goes through the infuser, which allows us to adjust the flavour as we make the gin. A: There isn’t really one. I’m always in the distillery before 7am and I can be in it until well after 7pm unless Vicky insists that I’ve got to be out at 6.30pm. I’ll be the first one in, I set the distillation going and prepare for the bottlers to work. My junior distiller usually joins me at around 9am and takes over keeping the bottlers fed. At the moment, there’s a lot of work commissioning our new still, bottling line and building, which the first minister is opening on April 29. Q: Please provide brief tasting notes for your gin. A: Our Super Premium Dry Gin has a juniper-led nose with a clean, distinct forestry aroma. A burst of juniper gives way to a creamy rich vanilla sweetness with a light spice, ending with a crisp lime finish. We also have a number of flavoured gins, including Smokey Chilli, Spiced Chocolate Orange, Mocha and Forest Fruits (pictured below). 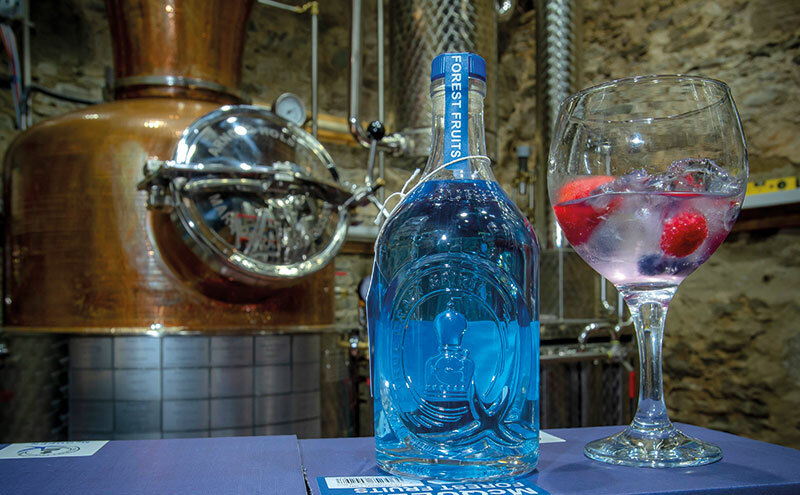 A: We’re continually developing gins which have flavour profiles that are on trend with the public. We can develop over 1000 new gins a year. We don’t believe your brand can succeed if you stand still. A: Our range gives bartenders endless possibilities to create exciting drinks. We make exciting products for adventurous drinkers. That’s what we do and that’s what is different about us. A: Providing employment. Providing a livelihood for people is what I get the biggest buzz out of and that presupposes that you are commercially successful but the end result is that people are making a living from the things that you have created. Q: What’s your favourite way to drink McQueen Gin? A: My favourite drinks are a Negroni and a Martini. Vicky is a dab hand at making them; she is a retired chef so she has a great palate and creativity. As a co-founder and director, she deserves a lot of credit for what goes on here. A: When I was a student in Edinburgh, the pub of choice that all of my peers loved was The Diggers. The highlight of my career was when I met the manager and he told me he was stocking our gin. A: I wouldn’t say there was any one person. We admire and take a lot of inspiration from quite a few people in the industry, especially those at Scottish brands which have grown with no backing from major distillers. A: With my dogs, Rosie and Snowy, they come to work with me everyday and provide me with relaxation both inside and outside of work. Mostly though, Vicky pampers me and gets me a drink when I go home and that’s how I relax in front of the television for an hour or two and obviously we eat really good food. I used to be the captain of Callander Golf Club in 2013 but the way the business is now there isn’t much time for golf! A: That’s a no-brainer for me. That would be Billy Connolly, we would go to The Diggers and we’d have a Martini with McQueen Gin, although poor old Billy doesn’t drink anymore so he could have a cup of tea if he wanted!